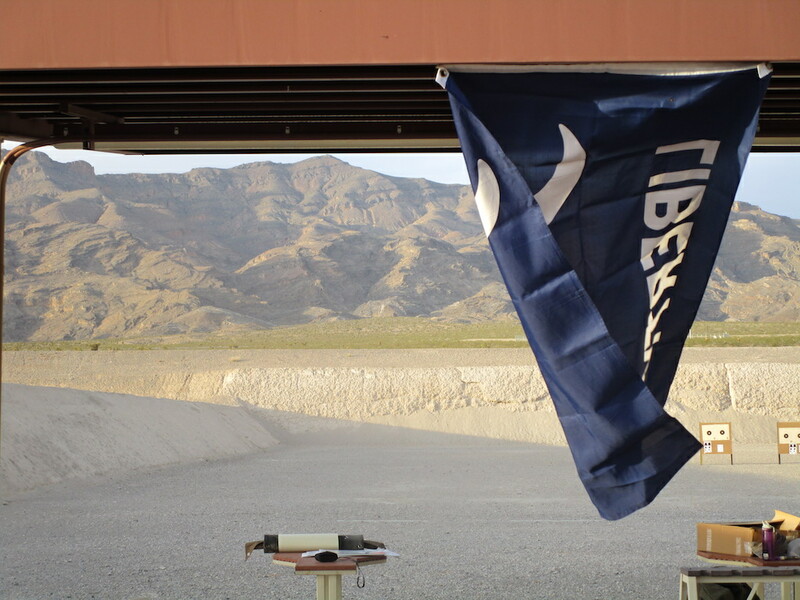 Tonight Revere’s Riders hosted a CMP Rimfire Sporter Match at the Clark County Shooting Park in Las Vegas, NV. After warming up with “Morgan’s 13,” a challenging course of fire that honors the 13 initial Colonies and Daniel Morgan’s Revolutionary Riflemen, we shot a CMP Rimfire Sporter match. 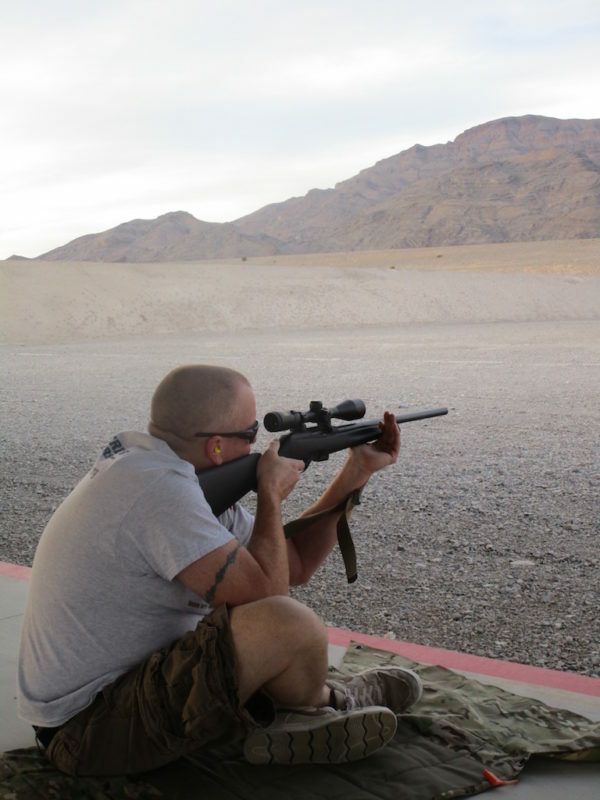 This challenging match requires both slow and rapid fire shooting from the prone, seated, and standing positions at 25 and 50 yards. 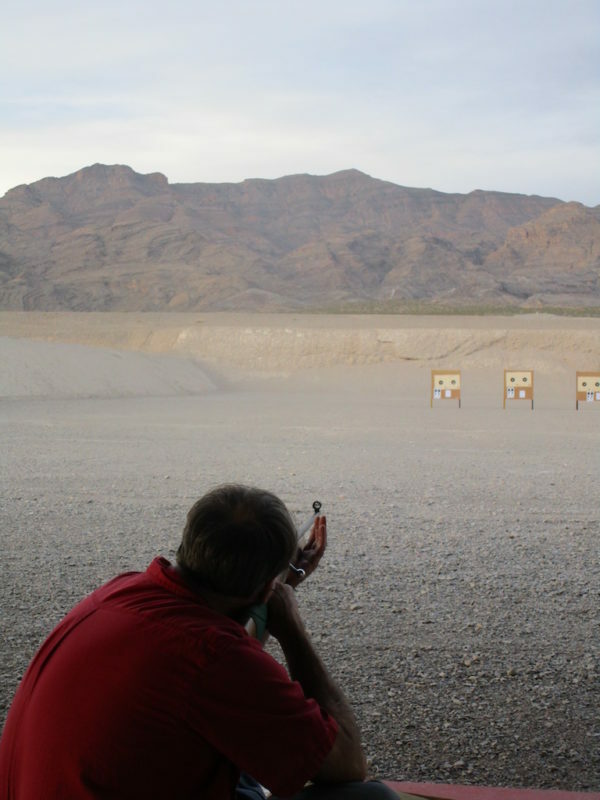 We had some strong shooting, and one of our participants received the prestigious Bronze CMP “Rimfire Sporter Sharpshooter Pin.” The score cutoff for this award is set for the top 40% of shooters at last year’s national matches, so a bronze pin shows that a participant is shooting among the top of CMP competitors. After the match, it was getting dark,but we had one more challenge—Morgan’s Shingle. As legend goes, to join Daniel Morgan’s elite corps of riflemen, a prospective recruit had to fire a single shot and hit a shingle placed at 250 yards. We have some ½ scale shingles that were posted at 100 yards and despite the gathering dusk, our match champion scored a solid hit! Thanks to everyone who came out. Match scores will be emailed to the attendees and sent to CMP at the end of the month. Please consider joining us at CCSP for a clinic on 30 April—it is a truly worldclass facility and this is the last chance to get out and “beat the heat” this spring.